Green grass can be your view from the highest building! 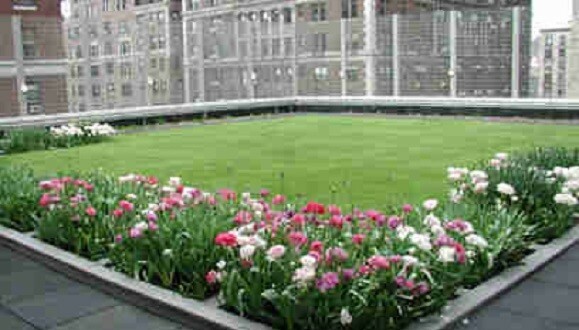 PolyTurf offers innovation in design for enabling rooftop gardens where grass is difficult to grow. With a year round, well cared for look, PolyTurf synthetic turf for rooftops resembles natural grass in its best condition. Turn your unused rooftop into a beautiful space where residents, employees, or students can recreate or pick up a little game of soccer. 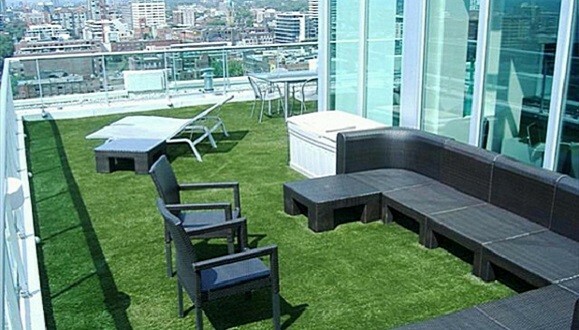 Perfect for urban rooftops where outdoor space is an issue, PolyTurf economic synthetic turf will beautify any rooftop to turn it into valuable, usable space. PolyTurf eco-friendly artificial grass for rooftops has been installed for rooftop playgrounds, urban residential building rooftops, recreational areas, and more. 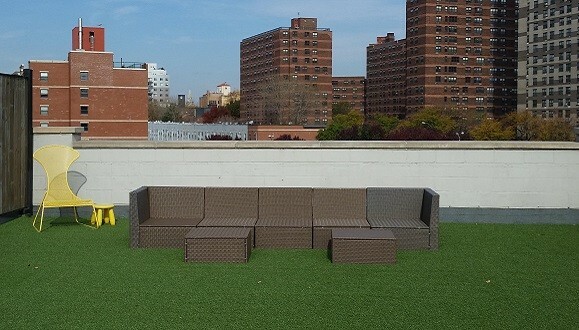 PolyTurf's lightweight synthetic grass is the perfect maintenance free solution for rooftop areas. A variety of drainage options are available for your rooftop synthetic turf project. The synthetic turf can be glued down to drain laterally via the rooftops own drainage system. Another option is to utilize the PolyDrain system which provides rapid drainage. Learn more by visiting our PolyDrain page.